Federation of Canadian Municipalities Gala Dinner June 7, 2015. The Federation of Canadian Municipalities (FCM) held their annual conference at the Edmonton Convention Centre from June 4-8, 2015 with a focus on sustainability. 1,800 municipal leaders and delegates descended upon Edmonton for an event which used almost the entire 150,000 square feet of the building’s rentable space. Featuring a trade show, gala, workshops, study sessions, and meetings varying in size, FCM was a place for municipalities to connect, network and learn. This event and everything that it encompassed was one of the largest conventions the Edmonton Convention Centre has hosted to date. To achieve their level of desired sustainability for the event, FCM requested the Edmonton Convention Centre’s in-house Sustainability Coordinator fill out a thorough questionnaire regarding the sustainable aspects of the building and identify steps that needed to be taken to ensure the event was as sustainable as possible. The questions focused on eight major components of conference operations: staff management, communications, waste management, energy, air quality, water, procurement, and community partnerships. Not only did this conference include a large sustainability component, but the events themselves required 200 staff per day to run effectively. 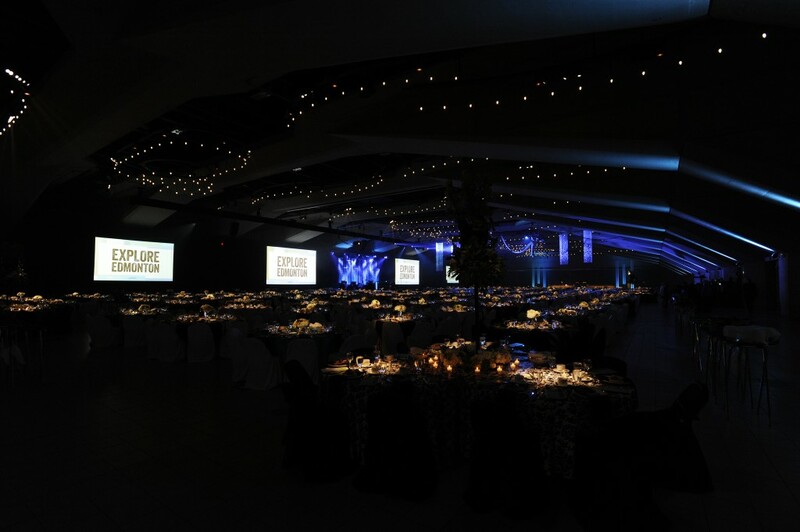 Edmonton Convention Centre staff were able to take a rudimentary trade show and transform the room into an elegant gala within hours, all while serving 1,800 guests daily meals that consisted of 46% locally sourced foods. All coffee (which was 100% Fairtrade certified), water, condiments and sugars were also served in bulk with multiple stations placed around the building to reduce waste. The Edmonton Convention Centre also conducted a comprehensive waste audit over the course of the event. This audit required all staff from various operational departments to collaborate cross-functionally to separate every piece of waste generated from the event into nine different waste streams, then weigh and record each bag of waste collected to determine the percentage of waste that was diverted from landfill. By the end of the conference, the venue far exceeded FCM’s waste diversion goal of 50%, achieving a 79.3% diversion rate. The Edmonton Convention Centre was proud to meet the needs of FCM through its Sustainable Meetings Program. Due to hosting FCM and meeting its sustainability targets, the venue is now able to apply for the Accepted Practices Exchange/American Society for Testing and Materials (APEX/ASTM) Sustainable Venue certification to both improve and better showcase its industry leading program. 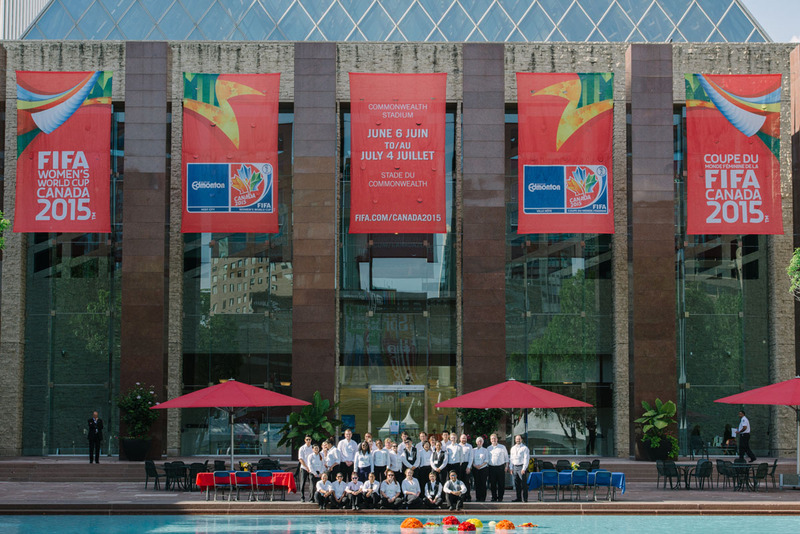 Always seeking new ways to make a positive impact in its community, the Edmonton Convention Centre looks forward to working with you to ensure your event leads the way in sustainability.